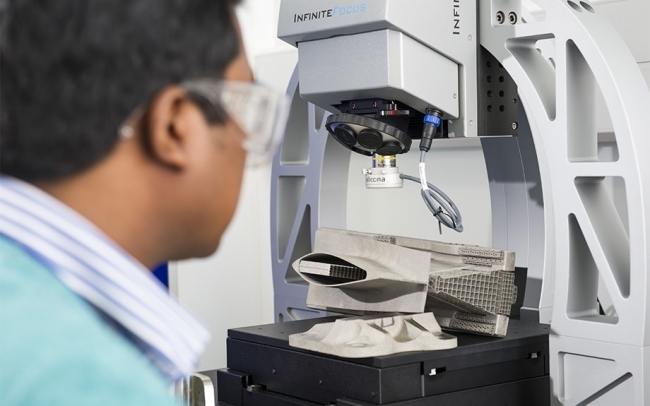 Global aerospace and automotive engineering Group GKN has pulled its global Additive Manufacturing (AM) activity together into one new brand: GKN Additive. GKN has been a global leader in AM for decades, with aerospace components produced, certified and flying on seven major platforms today, and AM parts driving in today’s cars. GKN is also a specialist powder producer through its Powder Metallurgy division. Operating from global centres of excellence in four countries, GKN Additive will act as the focal point for all this activity in the future, ensuring GKN continues to push the boundaries of the technology and strengthens the Group’s position as a global AM leader. GKN’s dual expertise both in powder production and manufacturing enables transformative and competitive solutions for its customers. Producing AM components for industrial use requires four essential elements: understanding of the raw materials (metal powder); process knowledge to decide which AM technology to use (for example selective laser sintering, powder bed or laser metal deposition); manufacturing expertise to produce the component itself; and finally the ability to certify or qualify the parts for use in industry.